Round four of Wells Fargo’s Diverse Community Capital (DCC) Program is open. Launched in late 2015, the nationwide initiative to invest in CDFIs serving diverse small businesses makes available $50 million in lending capital and $25 million in grant capital to be dispersed over three years. In addition to financial capital, the program provides a social capital program to increase the capacity of participating CDFIs to lend to diverse small businesses. The capacity building component includes a knowledge network, consulting, and other collaborative efforts. Lending to diverse businesses was 67 percent higher than the CDFI Awardees' historical benchmark. In addition, 69 percent of all small businesses financed by Round One Awardees were diverse. Awardees offered a variety of development services/technical assistance with general business management techniques topping the offerings. Diverse small businesses were more likely to receive development services/technical assistance. Awardees reported changes in their Small Business policies, practices, development services, lending products and delivery mechanisms that were intended to increase the credit readiness of their diverse clients and increase lending to the same. Interested in applying for Round Four? Make sure your interest form is strong by joining us Wednesday, May 3 at 2PM for a webinar that provides updates and guidance. You will also have the opportunity to ask questions on the program review process. Interest forms are due May 19. From a trucking company in Portland, OR to a budding landscaping business in Memphis, TN, DCC awardees have served diverse small businesses across the country, providing capital and technical assistance to help entrepreneurs grow their businesses. “My business, like most young businesses, had limited financial resources, so I was limited in the number of projects I could perform,” said Tyrone Bailey, owner of Bailey’s Construction. 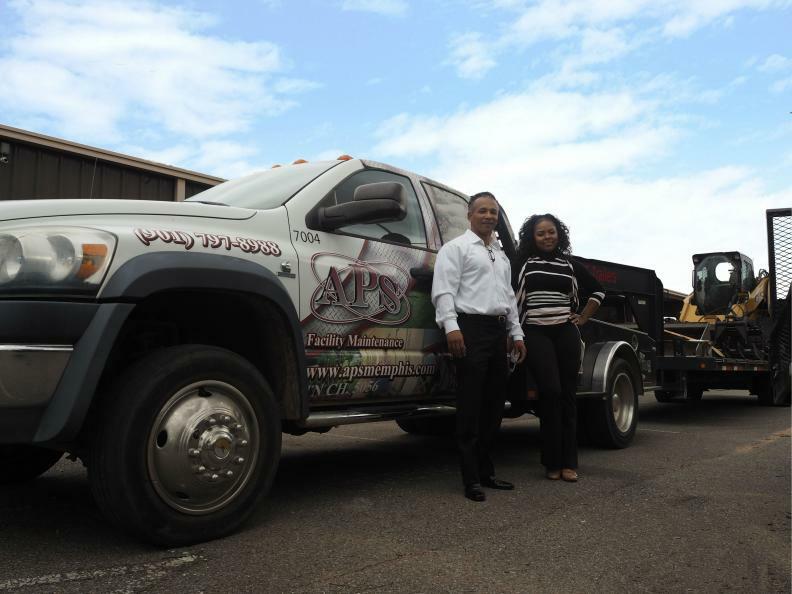 Bailey launched his trucking and hauling business in 2012 after years in the industry. As his reputation grew, he began receiving more offers to become the prime sub-contractor for many projects. This meant he needed the working capital to cover costs—like fuel and labor—up front while waiting 30-45 days for customers to pay for the work. On top of that, he was looking to grow, but was unable to secure affordable financing from a bank due to a low credit score. Bailey approached Ascent Funding, a CDFI based in Portland, Oregon, and recent DCC recipient. Ascent Funding, which provides under-banked and underserved business entrepreneurs access to capital, extended both a line of credit and an equipment term loan to Bailey’s business. The line of credit provides Bailey’s Construction with additional working capital, and the term loan will enable Tyrone to expand his fleet. “Together, both credit facilities will provide Bailey’s Construction with the ability to significantly expand his business,” said Robin Wang, Executive Director of Ascent Funding. In addition to providing the capital, Ascent Funding’s Business Advisory Services is working with Tyrone to improve his financial management skills and credit history so this growing business can one day secure traditional bank financing. Funding from their DCC award helped Ascent Funding in their work with businesses like Bailey’s. “DCC has been a tremendous resource for us,” Wang said. “Not only because it provided critical financial support to help us fulfill our mission, it has also enabled us to collaborate, learn, and engage with peers from around the country." Lorenzo Myrick’s role as an entrepreneur began when he left his long-time job in corporate finance to launch APS Facility Maintenance. “I started this business with a cell phone and a briefcase,” said Myrick. “I did my first interviews in my mom’s restaurant.” As his business grew, he saw an opportunity to evolve the business to a full-service facility maintenance and landscaping provider. But for this growth, he needed capital and confidence. With the help of Pathway Lending, a DCC recipient, APS secured two term-loans and a line of credit, allowing them to bid differently and invest in technology to improve and grow their business. “We won three contracts right after we secured our line of credit with Pathway Lending. It gave us the confidence to bid differently because we know someone has our back,” said Myrick. “Other funders wanted to put us in a box and didn’t take the time to understand our business model, but Pathway did. We’re not out here by ourselves, we have someone to lean on.” Not only does APS now have an impressive fleet and a warehouse full of equipment, they have invested in automation.